Up front, there's nothing but contoured harness straps and a couple of integrated weight pockets. You're uncluttered, unencumbered and looking good. 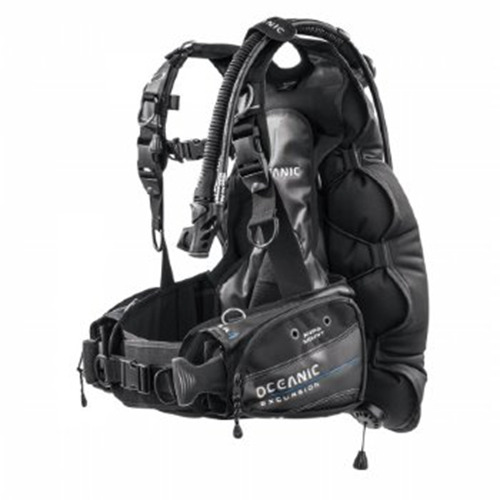 Built tough for use in both recreational and technical diving, the Excursion isextremely comfortable and stable, the ultimate BC for the serious adventurer. Max Dumpable Integrated Weight 20 LBS. Max Non-Dumpable Rear Weight Pockets 10 LBS. 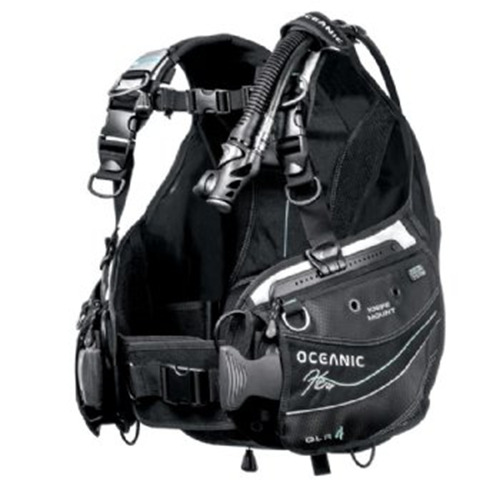 Oceanic's patented QLR Quick Lock & Release System is standard equipment on the Excursion BC. Your weights stay in position throughout the dive and do not shift around affecting buoyancy or position in the water. The weight pouches are simple to load and easy to release. Best of all, our patented "positive-lock" system helps to ensure that they'll stay put. Located on the back of the Oceanic Excursion BC on either side of the tank cradle. 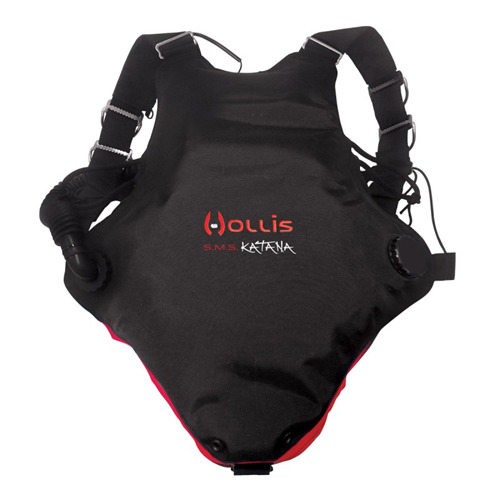 Provides greater integrated weight capacity and better attitude underwater. Carries up to 10 non-dumpable pounds. Exterior abrasion points of the Oceanic Excursion BC are covered in our new "Fadeless" 1600-denier ballistic nylon - tough stuff that will hold up to years of extreme diving and keep that "new look" longer. 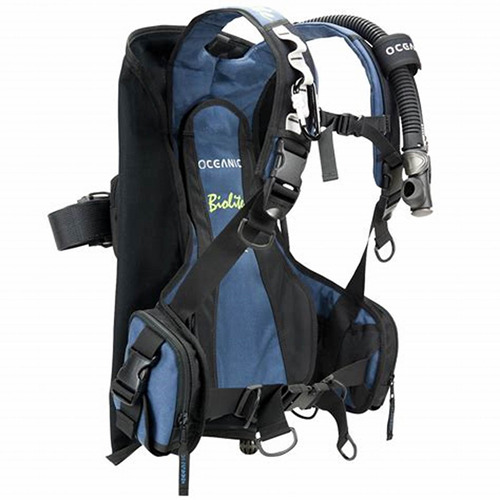 The Oceanic Excursion BC comes with an extra-strength harness which is outfitted with 1.5 " quick release buckles for easy adjustment, even with thick gloves. Located just below both the left and right pockets, a series of stainless steel grommets keep our SPINNER BC KNIFE out of the way but just where you want it. 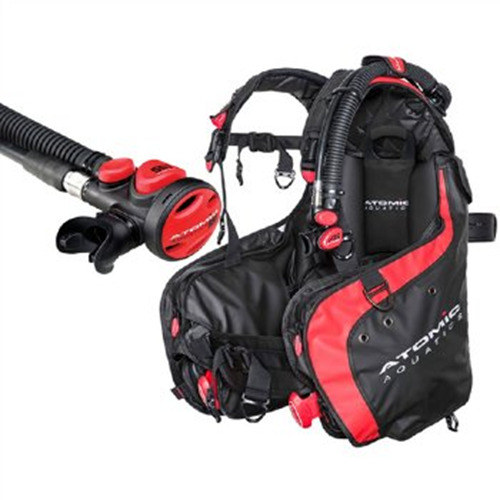 Ergonomically designed to be functional and easy to use in any dive position, the Alliance Integrated Inflator provides a full range of airway exhaust/inflation control. Simply press a button to produce precise flow for trimming dive attitude or maximum flow for major changes in buoyancy. A large exhaust valve creates a flow rate higher than the inflation rate of the power inflator, improving diver control during ascents. 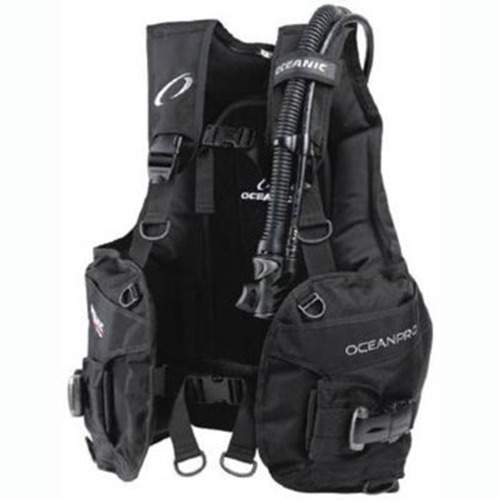 The Oceanic Excursion BC comes with extra heavy duty padding which provides comfort both above and below the surface without having to sacrifice the stability of a hard backpack. Zippered so it's easy to get into. The new AIR XS combines the reliability, performance and durability of the SlimLine OCTOPUS and ALLIANCE INFLATOR into one very low profile, streamlined package. The regulator/inflator combination is as small as many BC inflators alone, with breathing performance superior to many stand-alone octopus regulators.